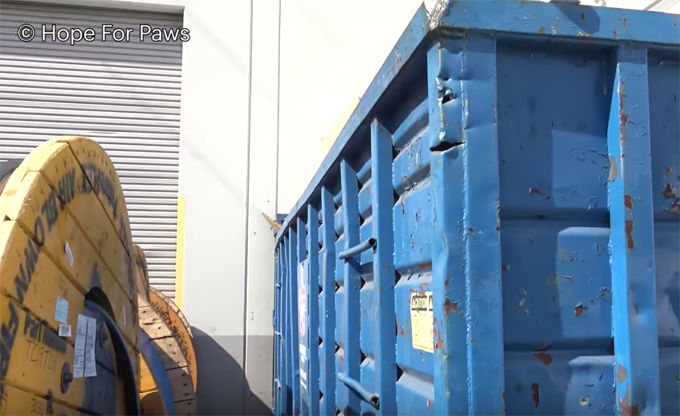 Hope For Paws was contacted regarding three kittens that were tossed inside of a dumpster next to a business. If the rescuers wanted to save the kittens, they’d have to get to the business location before the end of the work day. The following day, a lid was going to be placed on the bin and the contents crushed. Rescuers Lisa Arturo and JoAnn Wiltz did not waste any time. They hurried over! The rescuers noticed that the trash bin was way too big for the kittens to have gotten themselves inside. Someone threw these kittens away, like trash. Arturo and Wiltz arrived in time to help get them out. 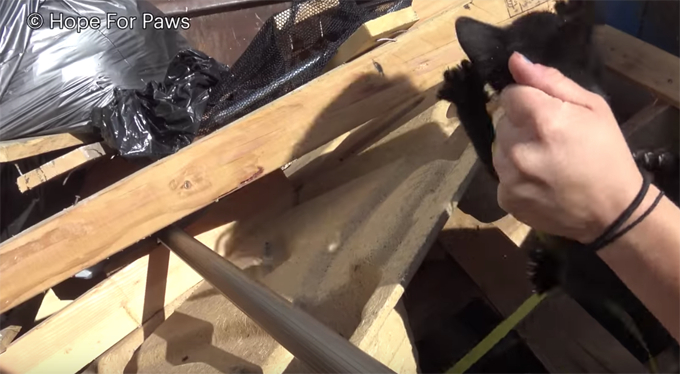 They were able to capture the first kitten after putting down a food trap. The other two kittens were proving to be a little more difficult. Being semi-feral, they did not want anything to do with the humans, so they hid. After a lot of persistence and digging through the trash, they were finally able to get the second kitty. Kitten number three walked right into the trap. These poor kittens were in desperate need of food, baths and vetting. The kittens are now in care and getting some needed socialization. Thanks to Hope For Paws and their amazing workers, these kitties are alive and playing today. The kittens are named Salmon, Squid, and Sardine. Please share and help Salmon, Squid, and Sardine get new homes. They are available through Room 8 Cat rescue. If you are interested in adopting a homeless cat please visit Room 8. There are a lot of cats and kittens just like these poor souls who have come from sad and bad situations and need the love of a fur-ever family. So many kittens in need of homes. Please, adopt don’t shop. Look at these sweethearts playing now. 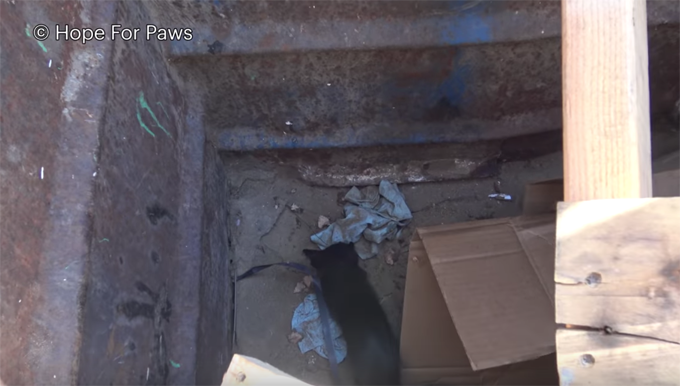 No more dumpsters for these adorable kittens! Hope For Paws, thank you so much, from the bottom of our hearts. Your work is incredible. Your videos are always so inspiring. There are a lot of lucky animals that were in horrible circumstances and who are alive today and thriving because of your amazing work. Do you love Hope For Paws videos as much as we do? Do you love all the work that they do? Let us know in the comments below! Don’t forget to follow them on Facebook and visit their other pages and see all of their amazing work. Hope For Paws Facebook Page! Hope For Paws Youtube Channel!